Earn $2.69 in Rewards credit (269 points) What's This? Keep your back clean while shredding your local mountain with the SKS X-Blade Dark 29" / Plus Rear Fender. Regardless of wheel size you use, this adjustable 2-piece fender has got your back. 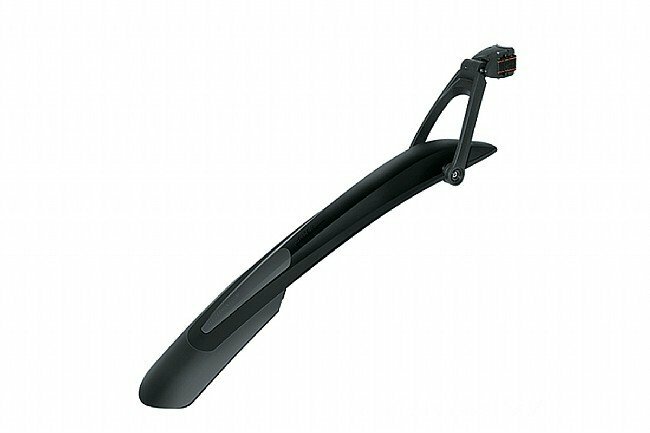 Featuring a easy to use quick-release system, this fender mounts to almost any seatpost quickly and easily. Bicycle fenders for all types of bikes from commuter to road.